It's my pleasure to introduce a guest to The Book Chook today. 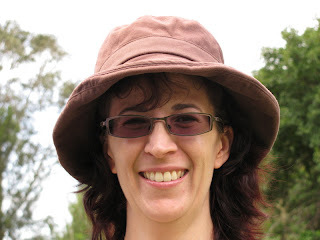 Susan Whelan is a freelance writer and blogger based in Newcastle, NSW. She is a mother of three who is passionate about sharing her love of books and literature with her children and others. Susan is currently co-authoring a book on children’s creativity with Sydney artist and author Ursula Kolbe and is also the World Literatures Feature Writer for website Suite101.com. On her blog Reading Upside Down, Susan shares reviews of books for children, teens and adults as well as posting thoughts about the things she comes across in her everyday life as a mother, writer, university student and avid reader. The aim of the blog is to offer ideas, encouragement and information in a way that is interesting and entertaining with occasional posts about quirky topics to keep the general tone light-hearted. Back when I was toying with the idea of homeschooling my children, I read a book about an American family that homeschooled their four sons (2 natural, 2 adopted) up to college age. The priority for this family was to encourage their sons to develop all the necessary academic skills, but they did this by encouraging the boys to follow their own passions and interests. For example, if an essay needed to be written, one with an interest in mechanics might write it on antique cars while another with an interest in astronomy might write it on the planets. It’s probably worth mentioning 3 of the four sons went on to attend Harvard. While I ended up going down another path education-wise, the teaching philosophy stuck with me – that children learn best when they are learning about things that they love. I’ve tried to work this philosophy into the lives of my children, encouraging them to follow their passions and interests and offering them opportunities to learn that incorporate subjects and activities that naturally interest them. I’m sure that there is a technical term for this approach – child directed learning or some such – but for me it has simply been about offering my inquisitive children the opportunity to learn and have fun at the same time. My children are extremely intelligent and if I was a little more focused and a little more disciplined in getting them to practice and reinforce the lessons they learn at school, I have no doubt that they would excel beyond their already excellent results. I am currently in the situation of having to decide whether to register my older son to sit the entrance exam for a local selective school for high school and I have spent no small amount of time weighing up the pros and cons of his options. If it was simply a matter of choosing which school would offer the highest quality education for his high school years and produce the best academic results, the selective school would win out over his current school without a second thought. Is that all there is to it, though? The philosophy behind the My School website would no doubt say that it is. I should simply seek out the school achieving the highest overall results in English and Mathematics and sign him up, but I can’t help thinking that there is more to it than that. I think that there is more to life than being smart and getting top grades. There. I’ve said it and my still-longing-to-be-teacher’s-pet heart has trembled, but it hasn’t stopped beating. 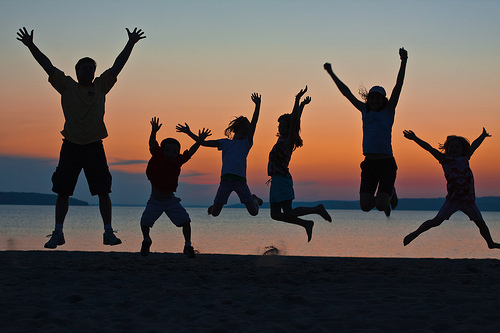 My children’s intelligence is only one part of who they are and to be happy, I think they need to develop all the aspects of themselves – creativity, faith, emotional intelligence, social skills,friendships, a sense of humour, the ability to simply relax and have fun, a sense of purpose and self-worth. These things are all just as important as academic achievement in my mind for their ongoing mental and physical wellbeing. For my children to be happy, which is what I want for them, I believe that they will need to use their intellect. It is part of who they are and one of the gifts that they have been blessed with. I don’t believe that they would ever be truly happy without being involved in something that kept them mentally stimulated. I want them to work hard and always do their best at their studies so that they can achieve their academic potential and give themselves the widest range of choices for future career possibilities, but I want them to know this is just one part of who they are and what they can achieve. I watch parents of young children focused on steering their kids along a path that will offer them the greatest potential for academic success or even future career success, but my focus for my children will be to encourage them to follow their passion, to be brave enough to dream big dreams and then know that with hard work, perseverance and passion that they will be able to bring those dreams to life. Academic achievement is important and we place a high value on education and knowledge in our home, but my highest priority is to see my children grow into well-rounded individuals with a real sense of purpose and joy and enthusiasm for life, not simply a career path and a 10 year plan. That’s my passion and that’s what drives me as I love and encourage my children and help them to become all that they are capable of being. Thanks Susan. Your article certainly made me pause, think, and examine my own beliefs. How about you, thoughtful The Book Chook readers? What's important for you with education and kids? What an interesting and well-written post! Also very pertinent as I ponder NAPLAN results and decisions re whether to accelerate my daughter next year... was thinking no, andf you've helped me feel better about that! What a great post! I absolutely believe in child directed, and even selected, learning. Unfortunately, so many teens are pressured to fill their schedules with endless activities and AP classes which have nothing to do with their interests. They just want to look good for colleges. Many end up stressed, and burned out before they leave high school. There's a movie out now, called Race to Nowhere, which is about this very topic. Thank you so much for sharing this post because it really is something that many parents and guidance counselors need to hear, loud and clear. We all want the best for our children, but we sometimes forget that "success" should not have to come at the expense of happiness. I agree. I teach at one of the most recognised universities in Australia, but have attended several unis - a small regional one, a more modern capital city one, old ones, new ones and Tafe (at the time, for my vote, my Tafe experience was the best). Most of the students I teach went to prestigious private schools. But the quality of their education leading up to university doesn't necessarily make them smarter, happier, more confident, more capable. I want my children to be intelligent, reflective, compassionate...and happy of course. But although I have always valued academia and have always been passionate about learning, I don't necessarily see that the path to happiness or success is a top percentile VCE score (Melina Marchetta never got her HSC!). There's nothing like talking to people in publishing (an industry filled with passionate people who love their jobs) to see that there are many ways to enter the industry and find your dream job. I wouldn't rule out private schools (if we got a scholarship) or a selective public high but only if it had distinctive or interesting programmes that particularly suited my kids, or if there was something seriously ill-fitting about our the culture of our local public high. We should have a long chat about NAPLAN and acceleration. I sympathise with the struggle to try to work out what the best option is in advance. Mother guilt is sure to kick in either way. Thanks for your comment, Dawn. I'll have to see if Race to Nowhere is screening in Australia. Sounds like something I would enjoy watching. I am currently writing a book on children's creativity and had a comment from one mother that "my children aren't ever going to be artists, so it is more important for them to learn how to follow a procedure and complete a craft project than it is for them to just play and be creative". Makes me want to cry. Why does everything have to be so competitive and when did we start believing that we should only focus on the things that we will excel in. Surely spending time doing something we simply enjoy has value as well. Thanks for your comment Penni. My circle of friends at school were those achieving the top marks and I can definitely testify that they weren't necessarily the happiest, most confident individuals. One friend received a scholarship to study information science at university. She stepped into a high paying job straight after then 2 years later, left it all, spent time working at a summer camp in the US then returned to Australia to study primary school teaching, which she has loved. Some would argue that she was more 'successful' with the first job (she was certainly earning more), but I know she is far happier with the second. I agree with you Susan. My son is starting school next year, and although he'll be young for his class, I am sending him because he needs the extra mental stimulation and I think he's ready socially and emotionally too. I have chosen a school other than the local public school because the local school is very exam and results-focussed and this doesn't fit in with our family philosophy. The school teaches specifically to the Naplan test and streams classes from Year 2, and makes no bones about it. Kids have to stay in at lunchtime (from kindergarten!) if work is not finished and there is plenty of homework. I have heard it spoken of in glowing terms by other parents for providing the kind of academic rigour you "only usually get in private/selective schools." They pride themselves on having a large percentage of the kids go on to a selective high school, and, as one parent put it, "they push and push the kids till they get results." I would prefer a school that is able to see the whole child and foster each child's potential to its fullest, giving them a well-rounded education in social, emotional, physical and academic spheres. Sarah, my own belief is that that sort of pressure, the push and push, is linked to high suicide rates. Is that what we want for our kids? Of course not, yet that is the risk, i believe. Some kids are so structured and surrounded by school and after school activities, they don't have time to play. And by play, I mean mess about, imagine, pretend, build, climb, giggle and frolic. I would so much rather my children grow up to be happy, resilient, confident, creative and thoughtful than academic success stories. You are right on target: the whole child, and catering to all aspects of the child. Wouldn't that be great! What a wonderful discussion! Thanks to everyone for making these important points, and particular thanks to Susan for sharing her thoughts and philosophy with us. I think Dawn is right - these are the sorts of discussions schools should be hearing. Or maybe that should be politicians??? 'teaching to the test' - how that phrase makes me shudder. I think the MySchool website has more schools doing that now unfortunately. I worry about the push for children to qualify for the local selective high school. I have seen advertisements for a local tutoring service that boasts a 98% success rate in tutoring students for the selective school entrance test. To my mind, if you need to be tutored to pass the entrance test, you probably shouldn't be at the school facing six years of high pressure academic study. A great passion and goal for your children and children everywhere. I hear you Ami! I also taught in the Sate school system for years and you will never hear me teacher bashing. I just wish the wonderful, caring and hard-working teachers were allowed to do what they do best: inspire and bring out the best in kids. Our society doesn't function this way, but wouldn't it be great if we could have a combination of homeschooling and mentorships/apprenticeships where kids could find "experts" to increase their knowledge and skills?